Complete with raked seating, The John James Theatre offers the perfect venue for audio-visual presentations. 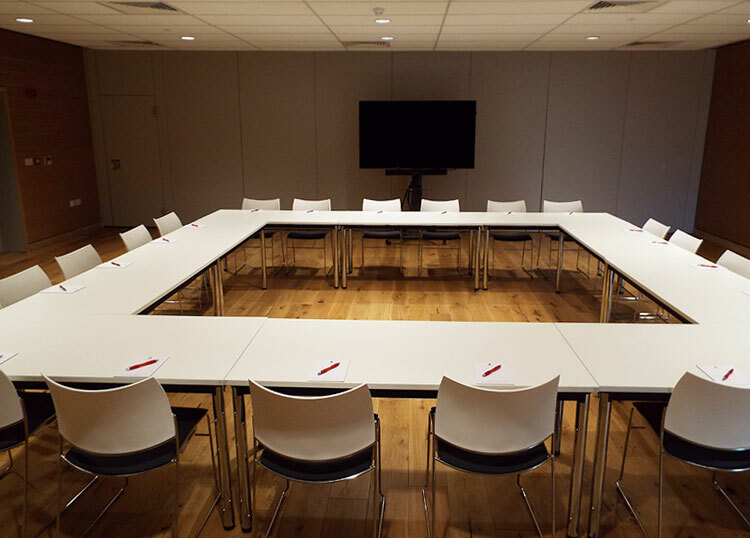 The Studio Space is a breakout area adjacent to The John James Theatre, which can be booked out as a private meeting room. The John James Theatre and The Studio Space can be combined to accommodate larger events. Click to enlarge the image above to view The John James Theatre (red) and The Studio Space (blue).